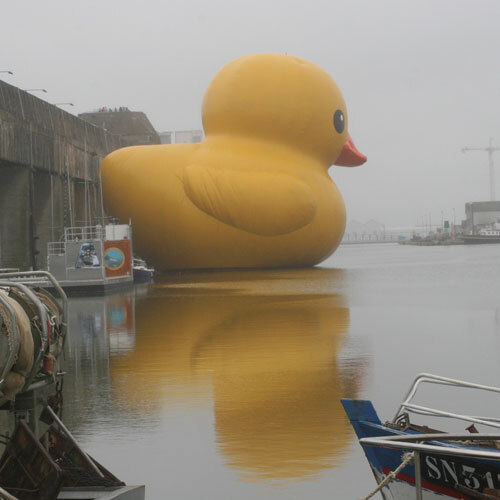 I'm big and yellow and floating in a dockyard. What am I? This entry was posted in Uncategorized and tagged duck, image, Image of the day. Bookmark the permalink. Wooster! I wonder if this is the same duck Penguin used in Batman Returns.